Authors Note. For those of you too young to know, "Nike" wasnt always the name of a shoe. Nike, named for the Greek goddess of victory, was a family of air defense missiles that protected this nation for 20 years of the Cold War. This year is the 45th anniversary of the activation of the first Nike missile site in the United States and the 25th anniversary of the deactivation of the last. I was a Nike system crewman for three years at a site on Campgaw Mountain in Franklin Lakes, New Jersey. The story of the Nike sites in the United States is unique in that these tiny installations played such a vital role in the nations defense against nuclear attack and were manned by regular Army soldiers and Army National Guardsman who often lived in, and were sometimes raised in or near, the communities they defended. Ive set down my recollections as accurately as my 34 year old memory will allow and, I hope, in a way that will be of some interest. In the end though, its just my story: a soldiers story. The spring of 1965 found me eagerly anticipating my graduation from Lakeland Regional High School in Wanaque, New Jersey. Id been "negotiating" with the local Army recruiter, Sergeant Anderson, in Pompton Lakes, New Jersey. My original goal had been to enlist in the Army for Warrant Officer Flight Training at Fort Rucker, Alabama. At the completion of training, I would be a helicopter pilot and a U.S. Army warrant officer. Although probably a sure ticket to Vietnam, the war and the mood of the country hadnt turned sour yet, so I didnt give that aspect of it much thought. Hell, I was 18; I dont think I gave anything much thought. There was a fly in the ointment, though. Although my eyesight was correctable to 20/20 with glasses, my uncorrected eyesight was much poorer than the minimum 20/30 uncorrected eyesight required to enter the flight training program. The good sergeant was now faced with a rapidly cooling recruiting prospect, and thats when he told me about Nike. According to Sergeant Anderson, it was the Armys "glamour" system. 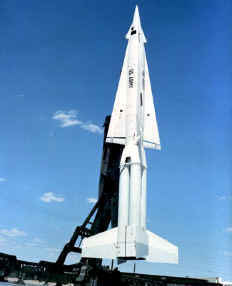 "Sleek, supersonic missiles guided by the most modern radar and manned by combat-ready crews around the clock," he said. "And, you can have your pick of one of many geographic locations around the country and be guaranteed a 14-month assignment there. Youll be trained on-the-job by your units sergeants at the actual site where youll work." I had to admit that the photos in the brochures he showed me made it look like glamorous stuff. (Hmm. I do have a steady girlfriend in Pompton Lakes.) "What dya have around here? ", I asked. Following basic combat training at Fort Dix, New Jersey, I reported to Battery B, 5th Missile Battalion (Nike-Hercules), 7th Artillery in Franklin Lakes, New Jersey. That was the designation of the Army unit that manned the site. In some Army Corps of Engineers installation listing it was Nike Site NY 93/94. I was to learn that our AADCP (Army Air Defense Command Post) referred to us, tactically, as "Site Seven Five". Thats just the Army for you. It all meant the same place at the top of Campgaw Mountain, and it was to be my home for at least 14 months. As the gate guard at the entrance to the IFC Area looked at my assignment orders and phoned his sergeant, I peripherally noted the few buildings within the fence, but my eyes were riveted to the sight further up the hill: five tall steel towers. Perched atop three of these were smallish, white golfball-shaped radars. Another tower supported a small, rotating olive-drab radar. As impressive as these were, it was the fifth tower that held me in awe. A metal-mesh radar antenna that appeared to be as large across as a semi-trailer is long was slowly, almost majestically, turning. Sergeant Anderson hadnt been kidding. This was gonna be some neat stuff. I was assigned to Staff Sergeant Curtis Davidsons crew for training as a Fire Control Operator. "What dya mean "fire control? "I thought I was gonna operate radars!" In military parlance, "fire control" has nothing to do with extinguishing blazes and everything to do with controlling the firing of weapons. 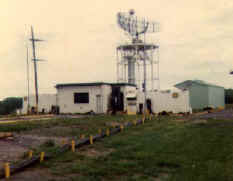 Thus, the IFC (Integrated Fire Control) Area "integrated" the functioning of the surveillance (or "acquisition") radars, a fire control computer, and two tracking and one ranging (or "fire control") radars used in guiding the Nike-Hercules missiles to their targets. 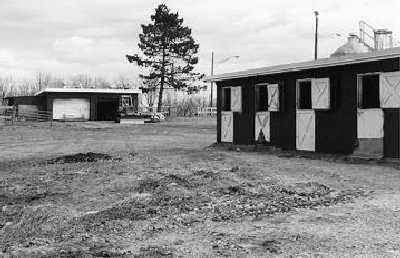 Sergeant Davidsons barracks was one of several temporary metal buildings. The passage of time proved, however, that it was "temporary" only in terms of the "T" designator painted on its outside wall. These buildings were one-story structures set on concrete slabs with a tile floor, a door at each end, and windows down the sides. Single bunk beds, with a footlocker at the foot of each bunk, lined each side of the long inside walls. Personal wall lockers lined the rear wall and the front end of this open bay area. At the very front of the building, two small rooms were walled off from the bay, one on either side of the building. The four most senior men living in the building had these rooms. However minor the privilege, RHIP (Rank Hath Its Privileges) prevailed. Bathroom facilities (the "latrine") were in a permanent cinder block building a short distance from the barracks. The first time I had to dash to the latrine down an icy sidewalk at 3 a.m. in my boots and skivvies, I learned that drinking too many beers on a frigid winter night wasnt a smart thing to do. I soon developed a friendship with two fellow crewmen: Privates Joe Farnum and Jim Lance. Farnum and Lance were already good friends and were developing into a close knit tactical duo as well, with Joe as the crews Acquisition Radar operator and Jim as a TTR (Target Tracking Radar) operator. The two positions are analogous to a baseball teams pitcher-catcher combination. Joe was from Manchester Depot, Vermont, and Jim was a draftee from Eau Gallie, Florida: a Yankee and a Southerner. Most people couldnt quite get a handle on Jims personality, because although he had been drafted away from his civilian profession as a grocer, he applied himself to his military work with earnestness and enthusiasm. We finally talked about it one night over some beers. "Now you gotta understan, I aint no "lifer" like somes been sayin. When my two years is up, I mean to go home. But I figure that seein as how I was drafted, I coulda just as easy been sent to Vietnam as here. I was just plain lucky. So, Im gonna do the best job I know how longs Im here. Sides, if the worst thing I gotta put up with is you Yankees fer awhile, I guess I can handle that awright." True to his word, Jim went home to Florida in 1967. Also true to his word, and long before he left, he was a qualified operator at each of the five positions in the RC (Radar Control) van, and a master of the three TTR positions. When Jim went home he took with him our good wishes and something else: a new "Yankee" bride. Life on the site wasnt exactly what Id imagined. Just as my recruiter had said, Sergeant Davidson and some of the more experienced crewmen trained and qualified me on the BC (Battery Control) van crew positions. Operating the equipment was interesting; sometimes exciting. The trouble was that a lot of time was spent on details: guard, KP (kitchen police), painting and grass cutting. There were two types of 24-hour per day guard duty in the IFC Area: gate guard and "set" guard. Three people per day performed gate guard at the IFC Areas entrance gate and one person performed "set" guard in the BC van. Although armed with a .30-caliber carbine and live ammunition, gate guard was primarily an entrance control measure. Our IFC Area fenced perimeter, which at one time had accommodated two, separated IFC Areas, was large. The area was rolling terrain perhaps a mile deep and a quarter of a mile wide. There simply werent enough people in the IFC Platoon to secure the entire perimeter, and we were, after all, in New Jersey; not overseas. The fact of the matter was, if a saboteur or team of saboteurs had wanted to put the site out of action for a period of time, they could have fired into the radars and BC and RC vans with telescopically-sighted high-powered rifles at some distance from the perimeter fence. A set guard was present in the BC van at any time that other personnel werent present. Since the equipment remained in a "power on" condition continuously, part of his function was to act as a fire guard. The set guard also monitored the voice communications line with the AADCP and would be the person notified if a change in the batterys alert status was ordered and the one to sound the BC van siren, starting the process of bringing the battery to battle stations. Physical security in the batterys Launching Area was a different story, altogether. The Launching Area was located about a mile from the IFC as the crow flies, farther by road. The geographical separation almost made it seem like a separate unit, and we in the IFC seldom saw missile crewmen, except at meals. The Launching Area was physically much smaller than the IFC and heavily guarded by missile crewmen and a contingent of Military Police, with police dogs. It was further subdivided into smaller fenced and alarmed areas of increasing physical security known as the Limited Area and the Exclusion Area. The missiles were stored in underground magazines and Launching Area security was specifically designed so that no intruder could get to those missiles or warheads. KP duty was basically a combination dishwasher and busboy function in the batterys mess hall. It was not a punishment, but a rotating duty among junior ranked soldiers in the battery. It started at about 3:30 a.m. and ended that evening whenever the mess steward said you could leave, but usually not before 7:00 or 8:00 P.M. Three KPs were assigned to the mess steward each day and their routine responsibilities were divided between keeping the dining room cleaned and the tables stocked with napkins and condiments; washing pots, pans, and other cooking utensils; and washing trays, cups, and flatware. Non-routine duties consisted of whatever the mess steward and cooks said they were, and those jobs could be anything from scrubbing cooking surfaces to cleaning out filthy grease traps. Cooks, regardless of rank, had pretty much no influence or power over anyone in the battery unless you were on KP. So, I tried my best to stay on the good side of the batterys cooks (and out of the grease traps). In todays Army, soldiers no longer perform KP.duty and, for the record, mess halls are now called "dining facilities." How nice! As I noted before, the IFC area was maybe a mile deep by a quarter of a mile wide and, with the exception of a few structures and some asphalt, it was all in grass. Some of the National Guard sites that I had visited had farm-sized tractors with mowers for grass cutting. I guess the State of New Jersey provided them for those sites, because our Regular Army site had no such machines. We had a few gasoline engine-powered mowers (for the cutting blade, only), a few completely manual mowers, long-handled swing blades, and manual edgers. During the summer months, keeping up with the grass was never-ending, hot, and dirty. Our battery was one of 19 comprising the New York-Philadelphia Defense. 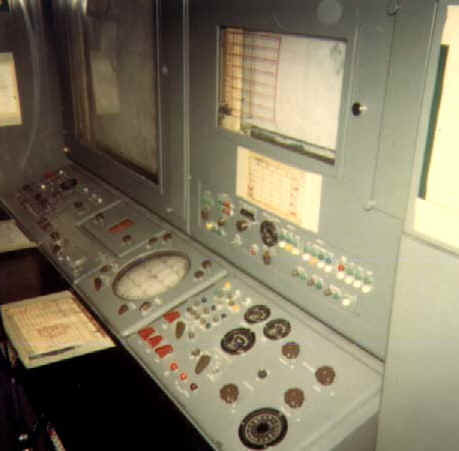 The normal peacetime alert status for the defense as a whole was called "A" status, meaning that 25 percent of the batteries in the defense had to be able to launch their first missile within 20 minutes of notification, 24 hours a day, 365 days a year. Another 25 percent of the batteries had to be able to launch within one hour, and the remaining 50 percent, minus the one or two that were released for heavy maintenance activities, had to be able to launch within three hours. These statuses were rotated amongst the 19 batteries on a weekly basis. Such things as "B," "C,", and "D" statuses existed, but would normally only be implemented if there was an increase in the likelihood of attack due to worsening relations with the Soviet Union, a military crisis, etc. Each of these statuses would successively bring an additional 25 percent of the defense to a 20-minute status. At the battery level, alert status governed our daily lives. We lived as though we were never more than three hours from war and possible Armageddon. Our normal schedule was one week of the month on 20-minute ("A") status, one week of the month on one-hour (M-1) status, and two weeks of the month on 3-hour (M-3) status. A one-hour status battery was a "back-up" to a 20-minute status battery, should that battery go out of action for any reason. This resulted in our frequently pulling more than the scheduled one week per month of 20-minute status. I think it was during my last year at the battery that a routine inspection of missile rocket motors in the defense revealed cracks in the solid propellant of many of the missile motors, taking several batteries out of action until replacement motors could be delivered. Our batterys missiles didnt have this problem and we ended up on continuous 20-minute status for more than 100 consecutive days. Those who didnt live in the barracks or the military housing just outside the Launching Area simply packed bags and moved onto the site for the three plus months and, yes, the guard duty, KP, grass cutting, etc., continued as always. Two IFC crews were authorized in the battery, so when the battery was on 20-minute status, the two crews would alternate being on-site, 24 hours "on" and 24 hours "off." If your crew was the one on duty or if you were on guard duty, you didnt leave the IFC Area, period. Much of our training occurred on 20-minute status, since we had to be there all day and all night anyway. Regardless of alert status, you had to be able to be reached by phone when you were off duty. An overnight pass was issued at the end of the duty day with a short mileage limitation, based on the batterys alert status. You signed out in a "pass book," leaving an address and telephone number where you could be reached. If you decided to go somewhere else later, you had to call the battery and give the same information for the new destination. I cant even guess at how many times I was called back to the site while on pass. On one occasion in a movie theater, the feature was stopped to page me to return to the site. There seemed to be no end to that which we were given the opportunity to "do well:"Annual General Inspection, Technical Proficiency Inspection, Command Maintenance Management Inspection, Operational Readiness Evaluation (ORE), Defense Combat Evaluation (DCE), Short Notice Annual Practice (SNAP) and probably others that Ive long since forgotten. Some of these lasted for an hour or so and others went on round the clock for days. Some were either "no notice" or "short notice,"and others were scheduled. Of those that were scheduled, every headquarters below the one conducting the actual inspection felt compelled to provide us with the "courtesy" of a practice inspection. OREs could be conducted by any headquarters in our command at any time. We could count on at least one ORE per month from our next higher headquarters, alone. The DCE was a several days long evaluation of one or more entire defenses, using a joint service exercise as an evaluation vehicle. It featured Air Force control of the overall air battle; the combined use of Air Force interceptors, Air Force BOMARC (unmanned interceptors) units, and Nike batteries; and exercise of the AADCPs functions of control of, and fire distribution to, the Nike batteries. Air Force bomber aircraft acted as enemy attackers for the exercise. Those evaluations in which we practiced our actual mission were at least interesting and, sometimes, fun. SNAP, in particular, was eagerly anticipated. It consisted of the unit being sent to McGregor Range, New Mexico, for a week of technical and tactical evaluations, culminating in our actual firing of one, and sometimes two, Nike missiles. Passing inspections and evaluations resulted in little more than a "pat on the back." Failure, however, resulted in a "kick in the pants" and the privilege of repeating the inspection or evaluation until it was passed. Some years after I left the site, an officer told me that he had often seen commanders relieved of their command for lousy maintenance, but seldom for poor tactics. Obviously, he had never served in Nike. An officer could be a Nike battery commander today and find himself in some "end of career" assignment tomorrow, all because a "simulated" enemy aircraft penetrated his batterys area of responsibility during an important tactical evaluation. That sounds harsh, but the number of lives lost due to a bad decision or moments inattention in actual combat would be horrendously high. We werent in combat, but we were in a pressure cooker. It probably was an accident; a mistake or series of them that started it all. Czechoslovakia had become too liberal, too western for the Soviets to continue to ignore. After weeks of warnings from Moscow, the Red Army had finally invaded in a crackdown on the tiny country. Fighting with the resisting Czech military had briefly spilled across the border into West Germany. Just that quickly, U.S. and German troops found themselves in combat against Russian soldiers. The Soviet government accused the West of attempting to fracture the Warsaw Pact by aiding the Czechs. The U.S. government accused the Soviets of taking advantage of our being heavily engaged in Vietnam by making a land grab for West German territory. Neither accusation was, in fact, true. Whether due to paranoia or political posturing, the actions of both governments were like throwing gasoline on a fire and the fighting continued with mounting casualties to both sides. Now, reinforcing troops were being flown from U.S. east coast air bases to Germany and cargo ships in east coast ports were being loaded with war supplies. As a result, both these air bases and ports had become possible targets for air attack. Thats how I got to be where I am now. We, and the rest of the New York-Philadelphia Defense are on 20-minute ("Hot") alert status, air defense warning "Yellow", and weapons control order "Hold.." It means that an air attack is likely, but that we can only fire in "self-defense." This ensures that the New York and New Jersey Air National Guard jet interceptors will get first crack at any attackers without accidentally being targeted by our Nike missiles. Soviet TU-95 "Bear" bombers, equipped with electronic "listening" gear, have been flying off the east coast at various times this past week. At some 200 miles out, the Soviet government says the aircraft are exercising their "right to navigate in international airspace". What they are really doing is gathering electronic information about our air defense systems. This has occurred often in the past, but the timing now is worrisome. Our interceptors have been shadowing them; exercising our own "right to navigate in international airspace." Its 1 A.M., and weve just finished the equipment checks and adjustments that we perform every six hours when were on "Hot" status. The squawk box on the rear wall of the BC van suddenly blares, "Natty Brute, this is Draft Taboo. Air Defense Warning Red, Weapons Hold, Battle Stations, Case 3. Acknowledge in site number order." Ive heard the AADCP broadcast a similar message in exercise terminology hundreds of times: "Big Noise, Apple Jack, Delta, Blazing Skies, Case Zulu." The shock of now hearing the real words is punctuated by a sick cramping in my gut. The BCO (Battery Control Officer) repeats the call to battle stations over the batterys tactical intercom. Farnum, the acquisition radar operator, is seated to the BCOs left, and he hits the BC van siren out of force of habit. No need; were all here. The crew drill is an intricate modern dance of memorized last-minute checks and adjustments performed in cramped spaces in both the IFC and Launching Areas. We have 15 minutes to complete it and report "Ready for Action" to the BCO. Well then be at five-minute status. "LOPAR & ABAR, ready for action." "Computer, ready for action. ""MTR, ready for action." The reports continue to stream in and the battery is finally at five-minute status. The BCO moves a switch and status lights in the BC van, RC van, and Launching Area change from blue to red and an electronic warning bell sounds. The MTR (Missile Tracking Radar) is locked on our first missiles beacon signal. The BCO reports to the AADCP, "Site Seven Five is at battle stations." Farnums radar scope is filled with jamming signals. Those TU-95s are out of missile range and trying to blind us with interference. Apparently, theyre equipped to do more than just spy. Farnum fights the jamming for a minute or less and switches to the higher-powered, longer-range ABAR (Alternate Battery Acquisition Radar), which operates in a different frequency band. The scope picture is clearer, though not completely free of jamming. We see what must be interceptors streaking outbound "fastern the speed of smell" and finally disappearing past the ABARs display range. Suddenly, the radar jamming stops completely. The EWPB (Early Warning Plotting Board) operator is calling out and plotting friendly inbound track reports from the AADCP and they soon appear on Farnums scope, heading toward the coast. Its a different group of interceptors; landing. They mustve gotten the TU-95s. Several minutes pass. The squawk box erupts again. "Natty Brute, this is Draft Taboo. Weapons Tight. Acknowledge in site number order." We can now fire at anything positively identified as hostile, so something hostile must still be heading inbound. The EWPB operator is again calling out and plotting friendly inbound tracks. The radar returns from these soon appear on Farnums scope, surrounded by electronic "friend" symbols generated by the AADCP. Although the friend symbols remain, the radar returns disappear off the scope at more than 100 miles from the coast. Theyve descended to very low altitude, and theres only one reason why fighter pilots already low on fuel would do this: theyre getting out of our way. The EWPB operator starts calling out and plotting hostile inbound tracks. At least two dozen inbound targets, spread out in groups of twos and fours, are heading toward the coast. An AADCP-generated "foe" symbol is around each radar return on the scope. One of these symbols indicates that our battery is to engage that target. The aircraft is still about 80 miles past the TTRs maximum range, and it will take it about eight minutes to close that distance. Silence now, except for the 400-cycle whine of the equipment. Darkness, too. In the subdued light of the vans, its always night. Time to think ... too much time to think. The AADCP called us to battle stations in Case 3. That means that we can only fire missiles containing high explosive warheads. The president hasnt issued a nuclear weapons release. Apparently, hes not going to be the first to open that Pandoras Box, even in or near our own airspace. I can only hope that none of the attackers are carrying nuclear bombs ... and that none of them will get through us. O.K., concentrate on the job. What should go right? Whats likely to go wrong? When the target gets close to the TTRs maximum range, the BCO will command "Designate." Farnum will position a steerable azimuth/range video dot over the target return and toggle a switch. Hell continue to manually track the target in azimuth and range until the TTR reports "Track." The three TTR operators in the RC van will work as a team to get the target tracked by the TTR. After the target is designated, the TTR azimuth operator will hold the "Acquire" switch until the TTR has slewed to the designated azimuth and range. Hell then command "Search," and the elevation operator will cause the TTR antenna to move in elevation until a triangular-shaped video pulse, representing the target, appears on the three operators radar scopes. The range operator will move an electronic range "gate" across the scopes to the target pulse and announce "Target in the gate." If no jamming is present, all three operators will turn switches to "automatic" tracking mode, and the TTR will automatically track the target. The azimuth operator will then press a switch, both to indicate in the BC van that the target is being tracked, and to electronically release tracking data to the computer. The entire process from "Designate" to "Track" should take no more than 10 seconds; and a lot less with a good crew. The computer, now receiving both MTR and TTR tracking data, will cause automatic "Horizontal" and "Altitude" plotting boards in the BC van to display target position in azimuth, range, and altitude; and a predicted intercept point and time to intercept if the missile is launched now. This information will be continuously updated until the missile is launched. Once the missile is launched, the plotting board stylus indicating predicted intercept point will move to indicate the missiles flight path to the intercept point. 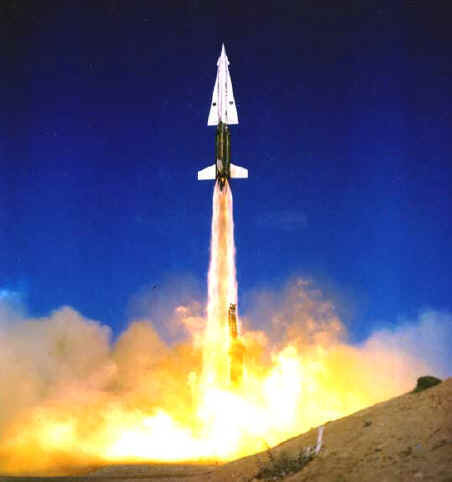 By constantly comparing missile and target tracking data after launch, the computer will issue steering commands to the missile via the MTR, and a "burst" command at the appropriate time. The missile warhead will then detonate, hopefully, destroying the target. O.K., whats likely to go wrong? "Farnum, take that overlay off the scope til we need it. Its hard to see some of the video with it there." The BCOs remark answers my question. The overlay is made of clear acetate, cut to fit the circular scope. On it, are drawn "safe passage corridors" and other information to aid us in discriminating between hostile and friendly aircraft. The AADCP is performing the identification and target assignment functions for us now, but if we lose electronic symbology and voice communications with the AADCP, were on our own. We call it "Autonomous Operations." If we have to "go autonomous" well primarily be responsible for defending a preassigned pie-shaped sector of sky, centered on an imaginary "primary target line" or PTL. Well use both electronic identification equipment and procedures known as "rules of engagement" to decide whether a target is friendly or hostile and whether or not to engage it. The overlay that the BCO referred to will be used as part of this process. Too often, the final decision to be taken by the young, underpaid officer filling the BCO position will not be obvious. Is the aircraft that is moving in and out of the safe passage corridor, not responding to electronic interrogation, sometimes at authorized speeds and altitudes and sometimes not, a hostile? Or is it a friend that is shot up and trying desperately just to stay in the air and near to where hes supposed to be? An erroneous decision either way will result in death to thousands of people on the ground or to a friendly air crew in the sky. "Designate." The command jolts me back from my thoughts. "Acquire". "Search." Farnums impatiently tapping his foot. "Target in the gate."."Track. "I hear Farnum disgustedly mumble, "Damn near 10 seconds to get a track an our best TTR operators home in Florida sellin groceries. I sures hell wish Lance was over there on the TTR." The BCO shoots him a hard look that says "Can it." The computer has given us a "Ready to Fire" light. The BCOs taking another one of those hard decisions. Hes letting the target get close enough so that it cant possibly turn away and escape the missile, without letting it get so close that it will be able to release its weapons prior to the missile intercept. "About to engage. 5, 4, 3, 2, 1, FIRE.". Within two seconds a "Missile Away" light illuminates in front of me. The plotting boards are depicting both the missile and target flight paths, and the time to intercept begins to clock down. We feel a slight vibration and hear a muffled sound like distant thunder; effects of the missile launch delayed by distance. The BCO electronically sends the next missile request to the Launching Area. The missile left its launcher under a combined thrust of 186,000 pounds from its four rocket motor boosters. The booster cluster burned out and separated from the missile about four seconds after launch. The missiles sustainer motor has fired and, it too, will burn out in about 30 more seconds. Missile speed will top out at more than 2,500 miles per hour. Now the TTR reports jamming from the target. The three operators take the radar out of automatic mode and manually control the radars tracking. The jamming signal itself can be tracked in azimuth and elevation, but the jamming obscures target range information. Unless the computer has constant target range data, the missile wont intercept the target. The tracking supervisor commands the range operator to select TRR range data. 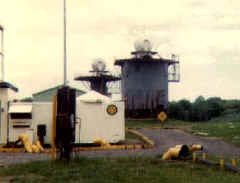 The TRR (Target Ranging Radar), slaved to the TTR in azimuth and elevation, operates in a different frequency band from the TTR and has two independent transmitters that can be alternately selected. This quick action saves the engagement. The tracking supervisor will now operate the two TRR transmitters to keep target range data flowing to the computer. Although the missiles sustainer motor has burned out by now ,and the missile is "coasting," it will still be traveling at about 2,000 miles per hour as it descends to the intercept point. BCO: "Whats the time to burst?" Meanwhile, aboard a Soviet MA-4/201 "Bison" bomber, the radio electronic combat officer scans his displays. "No missile launch or guidance signals evident. Im continuing to work countermeasures against the X-band and two K-band transmitters attempting to illuminate us." "Pilot to crew. Take stations for the bomb run. Bomb run I.P. in 30 sec ..."
An explosion takes time to develop; only thousandths of a second, to be sure, but time nonetheless. The missile warhead began its detonation about 30 feet in front and slightly above the nose of the bomber. In the time that the aircraft closed this distance, the blast had developed to its full effect and was tearing the bomber into unflyable scrap. Im watching the Target Speed indicator on my console. "Target speed dropping to zero." Now, from the TTR azimuth operator, "Target breaking up in the gate. Target destroyed." The tactical intercom is filled with the sound of cheering crewmen. "O.K., O.K., quiet! This isnt over yet." The BCO points to a target on Farnums scope. "Designate." The U.S. Army Air Defense Commands (ARADCOMs) Nike batteries comprised much of the total firepower of the North American Air Defense Command, which is responsible for the air defense of the continental U.S. and Canada. 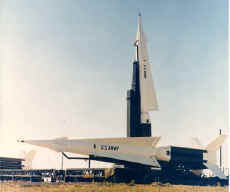 ARADCOM and its Nike batteries were deactivated in 1974, supposedly because the manned bomber was no longer a major threat to the U.S. due to the large numbers of ICBMs (intercontinental ballistic missiles) possessed by the Soviet Union. Its my contention that the day the U.S. and the U.S.S.R. each had the ability to destroy the other after a first strike by either side, the ICBM became useless as a weapon of war. Whichever side launched first would be committing national suicide. Weve found in the years since, however, that making nuclear war unthinkable has not made war, itself, unthinkable. Wars, using conventional weapons, have continued unabated. The long range strategic bomber remains an effective weapon of conventional warfare. With in-flight refueling, no place on earth is beyond its reach. The U.S. Air Force has proved this time and again, and as recently as this year. I believe that the continental U.S. was more, not less, vulnerable to conventional air attack from ARADCOMs deactivation in 1974 until the final breakup of the Soviet Union. The fact that it never happened is largely attributable to luck: luck that a triggering crisis of sufficient magnitude never occurred. It was 1968 and another spring. My guaranteed 14-month assignment had stretched to almost three years, and it was time for a decision. I called on a couple of former part-time employers from my high school days to explore civilian employment opportunities. The fact of the matter, though, was that I couldnt foresee anything I might reasonably do in civilian life that would be more important or satisfying than what Id been doing for the past 3 years. I reenlisted and was soon bound for Fort Bliss, Texas. A few months later, I heard that operation of our Nike site had been turned over to the Army National Guard. Although I remained in the Army for the next 17 years, I was destined to never again serve on another Nike site. In 1987, on a family vacation to Florida, I attempted to locate Jim Lance. It had been 20 years since he had left the battery. On a long shot, I called the information operator and, to my surprise, located him right away. We met at his home and had a wonderful evening remembering people and recalling events from our service together. For me, the character of Jims two years of active service will always epitomize the concept of the "citizen-soldier." Leadership is a frequent topic in military journals. Good leadership, however, is extremely difficult to describe, except anecdotally. You just know it when you see it, and we troops saw it every day in Captain Jay M. Garner. He was my last battery commander at the site and my best commander at any level, anywhere. Several years later, he and I served together again in the 101st Airborne Division (Air Assault). Our paths crossed several more times over many years, but always too briefly for me. He has served in two wars, and been a tireless advocate of the Armys continuing role in air and missile defense. I was most proud of him when he led American soldiers in protecting and sheltering the Kurdish people of northern Iraq, following the Gulf War. But beyond all that, I and many of his former troops appreciate him for the positive influence he has been in our lives. Lieutenant General Jay Garner retired from active service about two years ago. He is the finest officer and soldier Ive ever known. A line from a Jimmy Buffett song goes, "If I could just get it on paper, I might make some sense of it all." I hope Ive done that here. We ARADCOM soldiers were your neighbors; albeit ones who kept odd hours. Weekdays, weekends, holidays, everyday; we worked to protect a vital national interest far more precious than oil or any number of small countries halfway around the world: you, our good neighbors. This excellent article used to be located at: Source. That server seems to have vanished, it would be a shame to lose this valuble bit of history, so I've retained it here.